Here at Advanced Basement Systems, we specialize in solutions to improve the air quality in your home. That's why we provide our customers with a state-of-the-art air cleaning device - the Breathe EZ Air Cleaner. A standard furnace air filter won't trap microscopic dust particles, mould spores, allergens, airborne bacteria, volatile organic compounds (VOCs) and unpleasant odors. 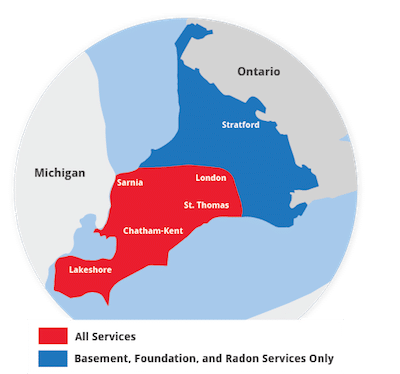 Our indoor air quality services are available in Windsor, Stratford, St Thomas, Leamington, Essex, Amherstburg, Strathroy and throughout Ontario. Call us or get an online estimate to install our indoor air cleaner in your home today!